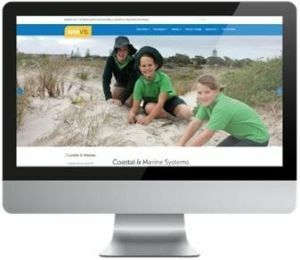 NARvis (Northern Agricultural Region vision) is our regional NRM strategy presented as a website. NARvis – the Northern Agricultural Regional Vision – is an update of 2005 Regional Natural Resource Management Strategy. Rather than the traditional document NARvis has been presented as a website with interactive maps and content. NARvis is a regional plan created with the input and support of state and local government agencies, community groups and land managers. It has been designed as a tool for these stakeholders to identify and prioritise NRM investment in the Northern Agricultural Region (NAR) and promote collaboration across all levels. In 2012, recognising the need to update its seven year-old Regional NRM Strategy, NACC started on the journey that has led to the creation of NARvis. First, a series of four community INFFER workshops were held throughout the NAR to identify regional NRM assets, asses their values, threats and importance. To ensure that the new plan didn’t become another document that quickly became out of date, NACC decided to create the new plan as a web based portal utilising GIS mapping capabilities. To host the maps and information NACC wanted to share with the community, NACC created its own ArcGIS Online account https://narvis.maps.arcgis.com. A technical working group with members from relevant government agencies was established to guide the project and provide valuable feedback and comments. NACC was successful in winning funding from the Australian Government through the NRM planning for climate change fund to update the plan with respect to climate change. The strategy content was then updated, the NARvis website was created and community engagement was undertaken. NARvis is and will continue to be a work in progress that will evolve to meet community and stakeholder needs. Future workshops are in the pipeline and if you want to make a comment on the website please use the Leave a Reply section at the bottom of each page. This project has been funded by Australian Government’s NRM Planning for Climate Change Fund.